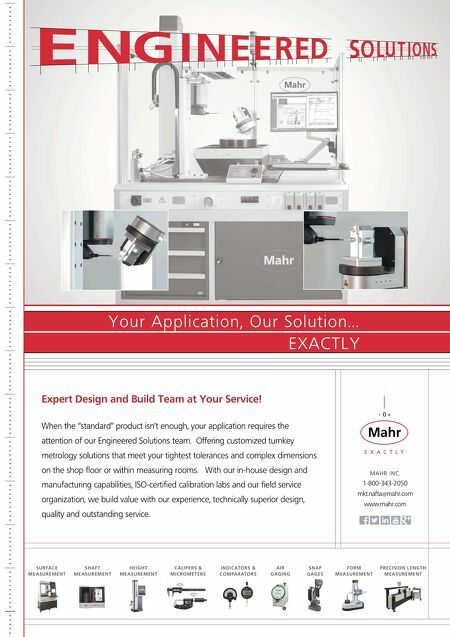 90 MMS December 2017 mmsonline.com BETTER PRODUCTION Shops Using Technology JBC MACHINE PROBLEM Older combination lathe lacked precision, reliability SOLUTION Weiler E50 flat-bed lathe with conversational control and Parat toolpost system RESULTS Tighter tolerances, simplified threading operations, and higher torque and rigidity E D ITO R E M I LY PRO B S T, e p r o b s t @ m m s o n l i n e.c o m BY J U LI A H I D E R T he more capabilities a machine has, the more productive and efficient it can be. When JBC Machine wanted to replace its increasingly unre- liable combination lathe, it chose a Weiler E50 flat-bed machine that can function as a manual or programmable lathe. 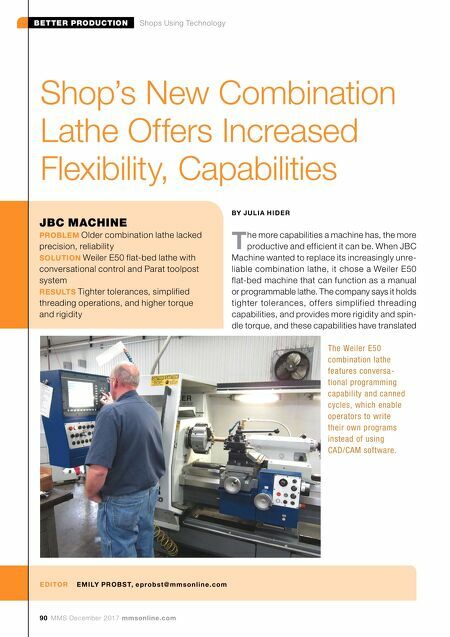 The company says it holds tighter tolerances, of fers simplified threading capabilities, and provides more rigidity and spin- dle torque, and these capabilities have translated Shop's New Combination Lathe Offers Increased Flexibility, Capabilities The Weiler E50 combination lathe features conversa- tional programming capability and canned cycles, which enable operators to write their own programs instead of using CAD/CAM software.